Himalaya literally means “the abode of snow” in Sanskrit, yet we know very little about snow, ice and the hydrological cycle at high altitudes. 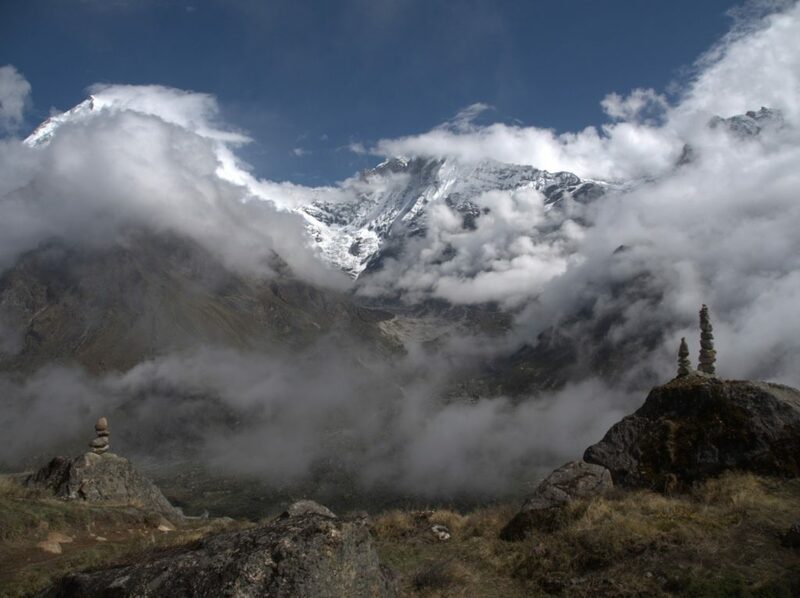 The water cycle in the Himalaya is poorly understood because of its extreme topography that results in complex interactions between climate and water stored in snow and glaciers. Hydrological extremes in the greater Himalayas regularly cause great damage, e.g. the Pakistan floods in 2010, while the Himalayas also supply water to over 25% of the global population. So, the stakes are high and an accurate understanding of the Himalayan water cycle is imperative. Understand how climate controls key cryospheric processes in high-altitude catchments in particular related to debris covered glaciers and snow processes. Close the high altitude water balance in a physically consistent manner for two representative catchments at a high level of detail that allows inclusion of key local-scale glacio-hydrological processes and atmospheric dynamics. These objectives will be achieved at an unprecedented level of detail by collecting high-altitude in-situ meteorological observations, by employing drones to monitor glacier and snow dynamics, and by using state-of-the-art atmospheric and hydrological models. The resulting data will be used to parameterize key processes in high-altitude glacio-hydrology, such as glacier dynamics, melt of debris covered glaciers, sublimation, snow maturation and redistribution, snow water storage, refreezing and lateral flow. 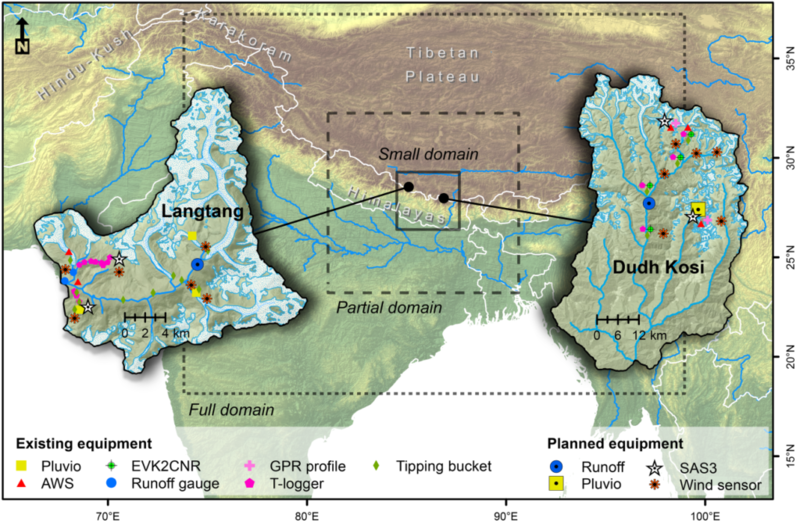 The results will be integrated into atmospheric and glacio-hydrological models for two representative Himalayan catchments in Nepal with the systematic inclusion of the newly developed process descriptions. Hi-Cycle will unambiguously reveal spatial differences in Himalayan glacio-hydrology necessary to project future changes in water availability and extreme events. As such, Hi-Cycle may provide the scientific base for climate change adaptation policies in this vulnerable region. Map of the study areas used in the Hi-Cycle project.